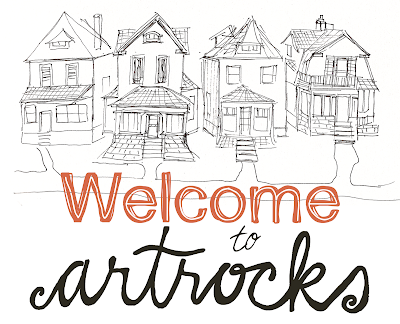 Thank you for visiting ArtRocks.ca, my new blog!! 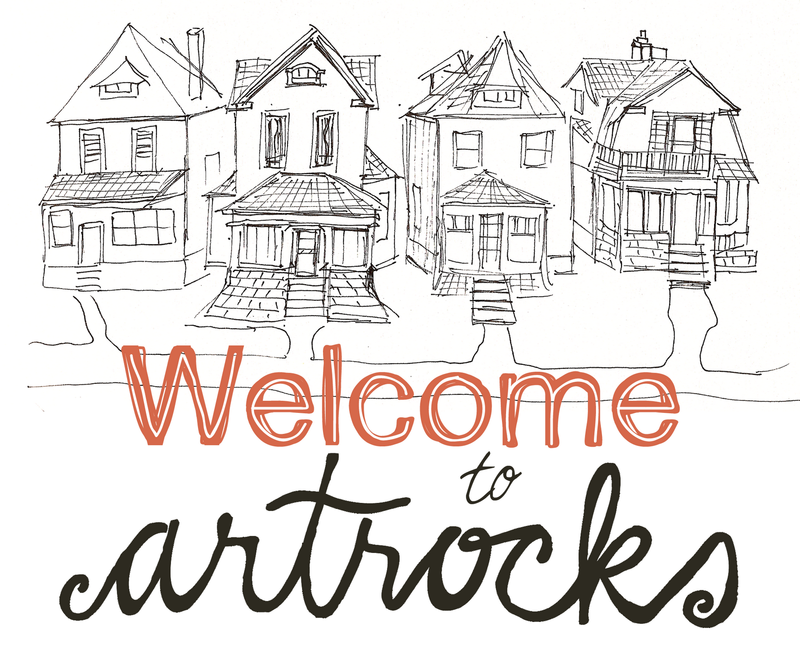 I'm excited to have this blog so that I can share my world and stay in touch with all my ArtRocks friends (take a look around)! 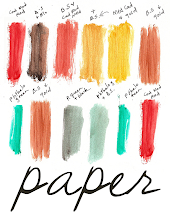 Plus-- on May 5th, my online shop will open, I'm so excited!! 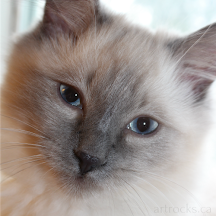 Bookmark ArtRocks on your computer and check back weekly (and even daily) for regular posts! I'll share stories, inspiration, art & news and I'd love for you to come with me on this artistic journey that cherishes the simple beauties in life. Hey Karen Fuhr! My name is Nidhi Sharma and I am currently sitting beside your son at school. Well anyways, I really love your art work so I thought I would sign up for this contest. My e-mail is sharnidh@hotmail.com. Thanks for the great blog! Keep on rockin' in the free world! Oh Karen, your art is beautiful and inspiring. 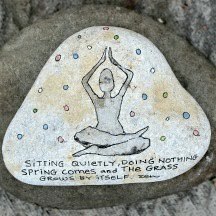 The simple truths you express with your rocks are so touching; when you read one that speaks to you it feels like a warm hand holding yours - friendly and comforting. It is so important to take joy in the littlest of things and your art reminds and inspires me to do that. Thank you so much. Hi Karen, LA's Mom here, I LOVE your new blog, (maybe because the pics are from our beach, I take ownership). But really I do love it but I really LOVE your art. I enjoy the pieces that I have in my home. I wanted to come to Scattered Seeds this year but this weekend is booked solid, and I'm so sad, I always seem to miss the spring sale. Take care Karen and keep up the beautiful work. I love it! Hey, Karen! 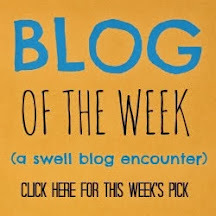 I absolutely love your rocks (I already have one up in my locker), and this blog looks pretty awesome. Thanks for the inspiration. Beautiful site, and wonderful photos too! 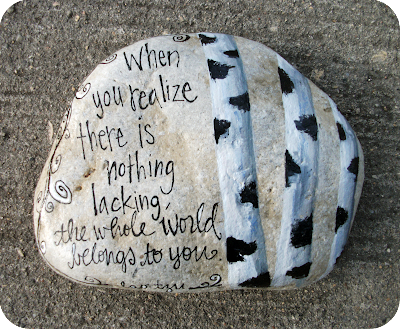 MY rock for my car is a little big - but I'm keeking it there until me and my daughters have it memorized! I can't wait to giver Farren her rock for her birthday (May 22) I'll let you know what she thinks. Loved seeing you again at scattered seeds! I've just come from Scattered Seeds and am thrilled with my Hamlet! I think that it was meant to be mine! Looking forward to visiting your blog regularly. I love all your rocks and buy them mostly to give away as gifts. But it is very hard to give them away..... I want to keep them all. Nice to see you again. Met you today at Scattered Seeds, I love your work. My mom is extremely happy about her Hamlet rock. Keep up the beautiful work. I love it! 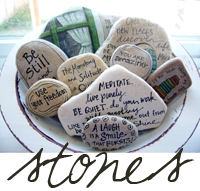 I have several of your inspirational art rocks featured in my healing/therapy space. Given that they resonate with me on a personal level, I naturally assume that they do the same for my clients as well. I've even got my mother-in-law interested in your awesome art rocks now, too! Great to see you again, as always. All the best with the new site! I love all of your elephant rocks that I have, they are inspirational to me in my own way. You are such a talented lady. I didn't make it to Scattered Seeds, but I hope to see you this summer sometime. Great to see you at scattered seeds. Love to collect a piece each time for display area. Hi Karen, your blog looks great, it definetly reflects your style. Love your art rocks and am hoping to start my own collection. Thanks. Hi Karen! Thanks for taking the time to talk to me at Scattered Seeds. You are so talented and creative. I am halfway through eatpraylove and every time I look at my new artrock I think of what I have learned from the book, and our great conversation.